Innovative and cost-efficient use of digital applications to handle major infrastructural and service challenges in ports include the implementation of Port "Single Window" systems. These systems smoothen the handling of both cargo and passengers by efficiently connecting up stakeholders such as authorities, operators, customs, ships and port agents, forwarders and shippers. 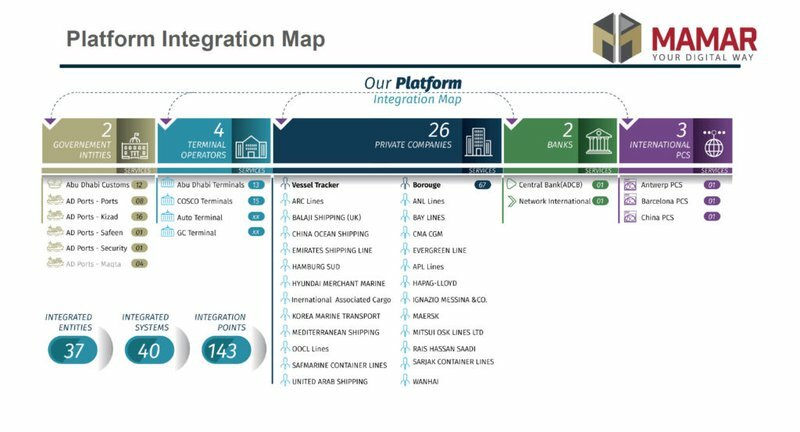 Abu Dhabi Ports' Single Window System (MAMAR) currently connects 5 ports and 54 private jetties with many of the world's best known liner shipping companies and covers 100+ services from shore to hinterland. It is also integrated with 3 single windows and 11 ports in China, Belgium and Spain. 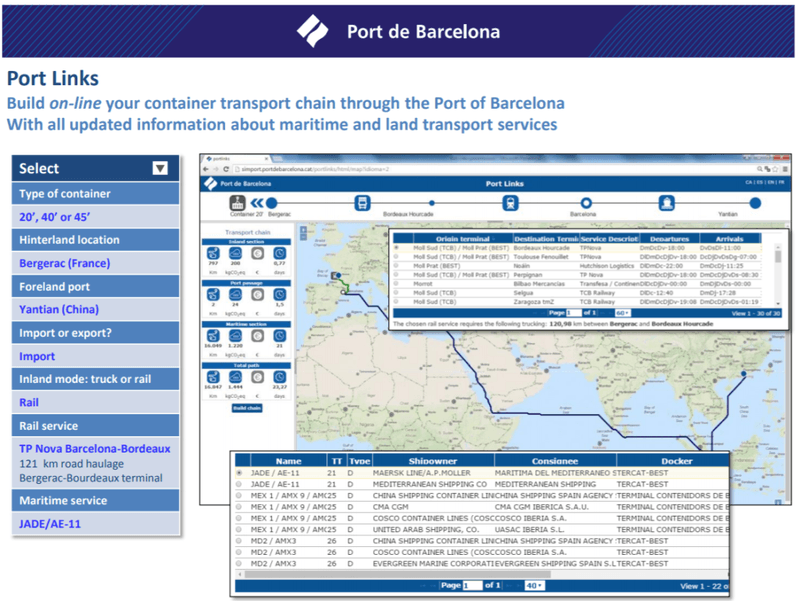 A fine example of an online tool serving cargo owners is the Port Links online portal developed by the Port of Barcelona. 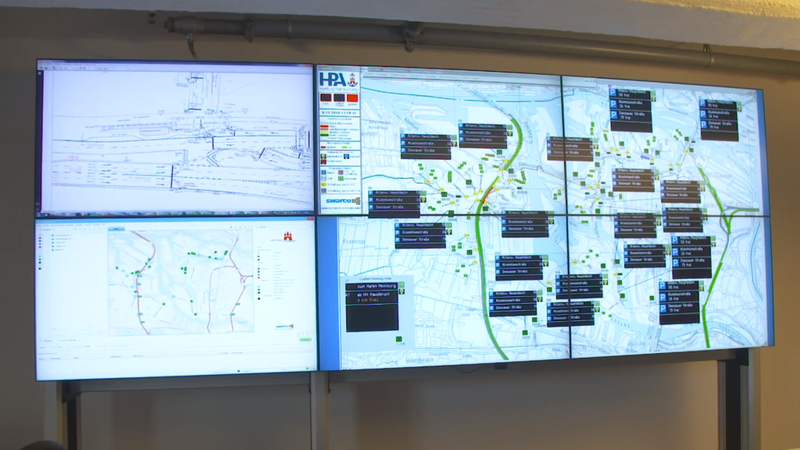 This purpose-built system permits exporters, importers, traders and forwarders to calculate the optimum route for their cargo from point of origin to destination, including all the European-wide intermodal options to and from its port. Simple data entry produces a map result with a graphic representation of the optimum route and aggregate results for distance, CO2 equivalent, emissions, variable costs and transit times.